On Monday, I headed down to WeWork coworking space in SoHo to get a preview of the new LEGO Minifigures Online video game. I was able to sit down and talk with John (developer) and Erling (marketing) from Funcom while testing out the game with three other people. We started out by watching the trailer and starting our adventure through the tutorial levels of the game. We were told about how the game worked as we battled pirates and started collecting virtual minifigures. Once we made our way to the hub world, that looked like we were running around in a LEGO store, we were able to start teaming up with each other, battling bosses, and exploring other LEGO worlds. 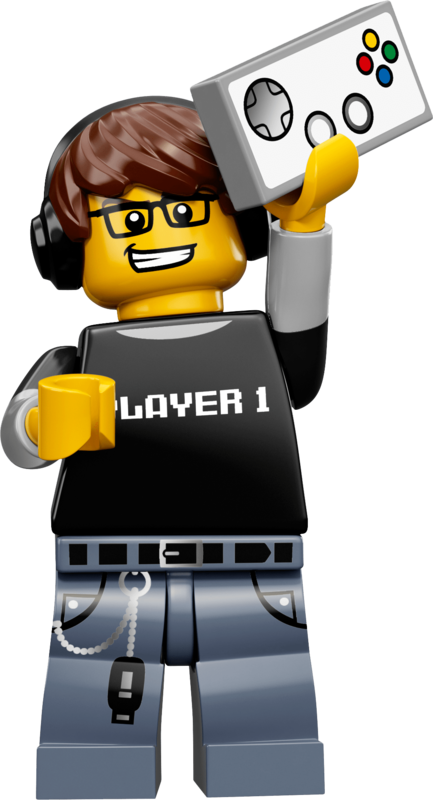 The characters in the game that the player collects correspond to collectible minifigures from LEGO. Series 12 and 13 included codes on their booklets to unlock the characters in game to play as without collecting them in the virtual world. We were informed the recently revealed series 14 monster set and currently unrevealed series 15 will also be including codes. Even with the codes, there are other figures in the game to collect, like the infamous Mr. Gold from series 10. To me the most impressive thing is the cross platform and hardware compatibility. I was testing the game on a PC laptop with a keyboard and mouse, but when the screen was flipped to use as a tablet, the game reacted appropriately and let me use the tablet controls. When I flipped it back and plugged in an X-Box controller, it recognized it and changed the interface again. In addition to being on PC, the game will launch on Mac, Linux, iOS, and Android platforms, and all of them will be able to play together and communicate seamlessly to give the same experience across all the platforms and let people play together regardless of what they are playing on. The game is very kid oriented, but there are a lot of things hidden for the older LEGO fans. Old models and themes are seeded throughout the game, even if they aren’t directly cited. For instance, in the space area, models based on the M-Tron and Blacktron themes are able to be flown by players. A previous version of LEGO Minifigures Online was previously available, but by moving from a free with many micro transactions to a flat fee is a more family friendly model. The Mac/PC/Linux version is a flat $30 price tag while the iOS and Android versions are $5 each with a fee to unlock each new area, but there are only a few more areas, rather than paying for each piece and minifigure in the game. LEGO Minifigures Online launches on June 29, and it’s the type of game that will keep children enthralled for hours. It will let them take their favorite LEGO figures and act out scenes across different themes with the different minifigures and hopefully inspire them to build even more fun things with their own LEGO when they are done with the computer, tablet, and phone.